Corinne LaMer defeated the wicked jumbie Severine months ago, but things haven't exactly gone back to normal in her Caribbean island home. Everyone knows Corinne is half-jumbie, and many of her neighbors treat her with mistrust. When local children begin to go missing, snatched from the beach and vanishing into wells, suspicious eyes turn to Corinne. To rescue the missing children and clear her own name, Corinne goes deep into the ocean to find Mama D'Leau, the dangerous jumbie who rules the sea. But Mama D'Leau's help comes with a price. Corinne and her friends Dru, Bouki, and Malik must travel with mermaids across the ocean to the shores of Ghana to fetch a powerful object for Mama D'Leau. The only thing more perilous than Corinne's adventures across the sea is the foe that waits for her back home. 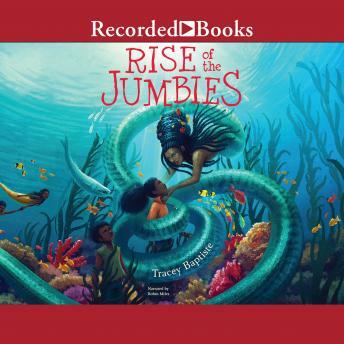 With its action-packed storytelling, diverse characters, and inventive twists on Caribbean and West African mythology and fairy tales, Rise of the Jumbies will appeal to readers of A Snicker of Magic, A Tale Dark and Grimm, and Where the Mountain Meets the Moon.